Any ideas, my own included, that there was a shift in the balance of power within the Premiership were given a firm rebuttal over the weekend. 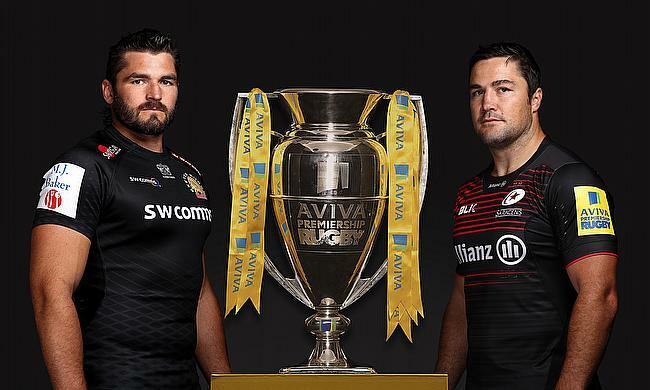 Current Premiership royalty, Exeter Chiefs and Saracens, brushed aside the pretenders to the throne in dismissive fashion. It was a brutal reminder of the accuracy and physicality needed to be competitive even at the end of a long season, and that crucial sixth gear that often sets champions aside from the pack. Saracens would be the first to admit that they have slipped far below their best this season; unfortunately for Wasps, Saracens found their spark and delivered their most destructive performance of the season. Very few sides could have lived with the level of intensity that Wasps brought. It was a victory that was as beautiful as it was simple, hard and direct one out runners earning the right to go wide. Mako Vunipola and Mario Itoje were particularly superb, two of a number of England starlets that set themselves apart from the competition over the weekend. Wasps will be disappointed. As outstanding as Saracens were they took advantage of a weakness that Wasps cannot shake, that they lack the bulk and physicality needed to make the jump from challengers to Champions both domestically and in Europe. The loss of Jack Willis early on through injury and Nathan Hughes playing despite clearly short of match fitness didn’t help. The additions of Charlie Mathews and Nazeem Carr will help to bridge this gap; welcome support for Joe Launchbury but for now this was always going to be a battle between Saracens pack and Wasps backs. The Wasps backline produced many stunning moments to keep their side in the hunt, only to be overwhelmed moments later. It made for fantastic entertainment but the result was never in doubt after the first twenty minutes. Anybody not watching could be forgiven for thinking the same of the match at Sandy Park. The match stats suggested a cricket score that never came to be. Newcastle’s defence and resilience was heroic, it kept them in a game that was absolutely dominated by Exeter’s phase play. In normal circumstances when you allow the opposition that much ball either the flood gates eventually open or the opposition were criminally wasteful. Exeter weren’t wasteful; they were accurate and patient in breaking down Newcastle’s defence and they had to be. On two occasions they looked to force the game and nearly gave Premiership player of the season Goneva an intercept that would have invited pressure against the run of play. If the first semi-final was Saracens pack vs Wasps backline then Newcastle and Exeter was attack vs defence. There was no better illustration of this than in the battle of the backrows. The varied ball carrying of Exeter’s all English backrow of Ewers, Armand and Simmonds (hint hint Mr Jones) against the street smart defence of Wilson, Graham and Hogg. While one backrow carried and offloaded their way into a final, the other tackled and fought against the current. Graham in particular was outstanding for Falcons, not just in defence, on the rare occasion he was given ball in hand he made the hard yards Eddie Jones has so often demanded of his openside candidates. Newcastle may be disappointed that they were never able to throw a punch in return. Their attack never got going, but how could it without the ball? Could Flood have chanced his arm a little more with what valuable possession they did have? Could Goneva and Sinoti come looking for the ball a little earlier? Possibly but the reality is Exeter were so patient in attack that Newcastle were given little opportunity to regain possession. Flood was forced into an impossible decision, relieve pressure or kick start an exhausted backline into attack. We should applaud Exeter’s ability to retain possession in a manner not seen since the rise of ‘Tika-Taka’ in European football. Exeter and Saracens have set down a marker; they have once again separated themselves from the chasing pack. While the clubs making up the chasing pack may change, Saracens and Exeter remain the Kings of England.